Hello, Dear Readers! I wish you Happy Monday - as it's a very happy Monday for me. The Scalpel is working again, and tomorrow NaNoWriMo starts and I can get to work on Big Secret Project Book Two. Yippee! I've got so many ideas I've been a little worried my brain might pop. And so it seems only fitting that I should post a Big Secret Project Book One teaser today. This will probably be the very last one, since I don't want to give all the plot away (it is a Secret Project still, after all). As always, when a book is not officially sold yet, this snippet is subject to change major or minor, or even deletion. So enjoy it while you can - and tell me what you think in the comments! Click the cut to read more. Hello all - I'd love to say 'Happy Friday' but it's more a mixed Friday, really. There is, as the title suggests, good news and bad news. The good news is that I finished my revision of Big Secret Project Book One late on Wednesday and sent it off to Super Agent. So...the die is cast, as Shakespeare would say. Now I just have to cross my fingers that she loves it as much as I do. And that I'll be able to share information with you about it soon because IT. IS. KILLING. MEEEEEE. The bad news is that this morning I had a wee accident with The Scalpel, my laptop. And now it's not working at all. I'm typing this on my ancient back-up model and trying to figure out what I'm going to do about that, as the Scalpel is just under a year old and is *is* insured, but then again there's my no claims bonus...ach, boring adult stuff like that. Anyhow, thanks to everyone for their positive contributions to the Mary Sue discussion following Wednesday's post. I was dreading the comments a little bit, but so far it's all been polite and friendly, which is a relief. Now I leave you, to brood over my courageous laptop comrade, who has fallen in battle. Thanks to Kaz Mahoney for this logo! 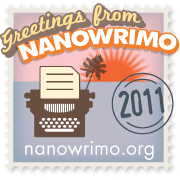 I have signed up for NaNoWriMo! For those of you who have no idea why I'm typing out apparently random combinations of vowels and consonents, I'll clarify. That's National Novel Writing Month, where writers from all over the world join together in their attempt to write a novel (here defined as a work of fifty thousand words or more) in the month of November. Yes, that's right. 50k in 30 days. Yes, it does sound utterly impossible - we'll come back to that later. In the meantime, here's a link to the official NaNo website. My participation is provisional on me finishing revisions of Big Secret Project Book One before the end of this month (since the rules of NaNo state that you must work on something new) but I've got my fingers firmly crossed that I'll manage it. Actually, I'm really looking forward to it. I've never really had much interest in NaNo before. I've seen lots of writers talking about it, including one lovely member of my lovely writer's group, but since every year when it rolled around I was either in the middle of revising something, or writing something else - and I'm not the kind of writer who enjoys working on more than one project at once - I just didn't bother to enquire further. So if I DO manage to get my revisions done in time, this will be my first ever time participating in NaNoWriMo. Frankly, it's all Twitter's fault. And by Twitter, I mean writer-pal Cat Clarke and blogger-pal Vivienne DaCosta. They were all excited and enabling about it. They made it sound like huge fun instead of a hassle. Before I knew what I was doing, I was signing up. My NaNo project will be - no huge surprise here - Big Secret Project Book Two! Which is part of the reason I'm looking forward to it because, you see, 50k in 30 days is not as impossible as it sounds. Firstly, if you write 1666 words (that's about seven handwritten pages for me) per day every day, you'll succeed. Since I try to write about ten pages, or 2000 words per day, between five and six days of the week, and sometimes manage more, that's not out of the realms of sanity. 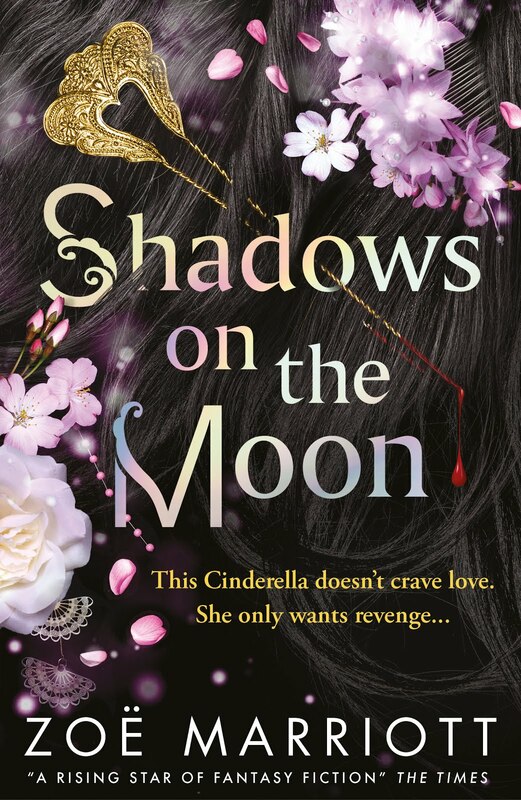 Secondly, when I was writing Shadows on the Moon, and I took my customary two weeks off before starting the revision process, I got a wild hair and actually wrote 40,000 words off a Twilight spoof novel (yes, yes, I know it's been done - and no, no, you are NEVER going to see it). And that was while I was working thirty hours a week at my soul-destroying office job. So if I can write (on average) 2857 words per day while working in The Pit of Despond (and having my soul destroyed, let's not forget that) surely I can write 1666 per day as a full-time writer while my soul is pink-cheeked and rosy? And since the first draft of the first book of Big Secret Project is 73,000 words long - and I hope the second book will follow that pattern - 50k would be huge chunk of work done, leaving me lots of extra time for revising it and making it the best it can possibly be. Here is my brand spanking new NaNoWriMo profile. I shall be updating it with my word count throughout the month of November, if you're interested to see how I'm getting along. I also have reason to believe that I will be giving you more news about Big Secret Project some time in the near future - so keep your fingers crossed! Hello, Dear Readers - and a happy, happy Friday! Today, I have been crying. Not wailing, sobbing, or beating my breast, mind you. A few dignified, crystaline tears slipping down the cheeks, the odd sniff. That sort of thing. But fear not. Nothing bad has happened to your favourite author (second favourite? Third? Fine, an author you might have heard of once, maybe). I've just been re-writing some emotional scenes in FF. That's what being a writer is all about, right? Whether we want to make people laugh, or get angry, or feel sad, or happy, the important thing is that they feel. We create characters and stories and worlds with the specific intention of influencing a reader's emotions, of changing their feelings in this minute with our story. A writer of fiction wants to engage the reader's heart - and sometimes, some of us need to invest our own to get that. If I can't believe in a character enough to forget, now and then, that they're not real, then I don't think my readers will ever feel my characters are real at all. Eeep. Pretty sure I don't agree there either. Any activity which caused such intense pain that I felt like I was bleeding all over the place would not be for me. Isn't writing supposed to be fun? Yes, it's hard work. Yes, it's emotionally draining at times. Yes, it can also be frustrating and (let's not forget) BADLY PAID. But if you hate it so much that it hurts you, for Sweet Baby Jesus's sake stop it. Whether you're doing yoga, competitive tap-dancing or ecologically-friendly beaver wresting, there is a difference between 'good pain' (muscles working, sweat rising, feel the burn) and bad pain (oh my god with the ouchy and the stinging and the make it stttooooppp). We writers might like to pretend that we're all eccentric oddballs for laughs, but this level of angst is bordering on some kind of personality disorder. Normally, when people say 'A Picture is Worth a Thousand Words', I get really huffy. You know, just on principle. But today...today, I find that I have no words. So pictures will have to do. 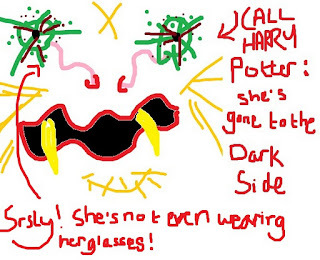 But then, when my mum came back from work, there was another distress call. Her computer was Doing It Again. Further fiddling, consultation with a Computer Support Person, and a bucketful of tears later, we came to the realisation that the problem with my mother's beloved laptop was not one that could be fixed by mere human intervention. And the Tech Gods weren't listening. And as the only computer literate person in the immediate vicinity, it was going to be my job to jump in there and do damage control. Complete system back-up while the thing was still whirring away. Quick research on the cheapest alternative model and an order. Quickly checking and writing down all the passwords for various websites and systems that my mum never bothered to remember because she had the computer set to automatic login. A million tasks presented themselves to me, and took up pretty much the whole day. At the end of it, I staggered away and collapsed in front of the TV, brain dead. But at least I could get to work tomorrow, right? In an act of such painfully annoying efficiency that it makes me want to sharpen my teeth with a pencil sharpener and then bite someone, somehow the replacement computer arrived yesterday morning, less than twenty-four hours after I ordered it. This was the cause of great rejoicing for the aforementioned mother, but not so much for me as it was of course going to be my task to set up this new computer, transfer every single file and folder from the old one to it, download all the freeware (like iTunes, VLC Media Player and various anti-virus and malware programmes) and introduce my mum to scary new features like a power button and power socket in a completely different area than she was used to. In other words? No writing on Tuesday. But tomorrow! Tomorrow it's all going to be fine, right? Computer crisis averted! Nothing to do but write, write, write! Er...no. Because just after dinner I got a call from the plumber telling me that he and his crew would be coming around to do fiddly work in my attic in order to make my boiler safe. And anyone who can write with workmen traipsing through the house, demanding cups of tea and making the dog go into a barking fit every twenty seconds is a better man than I am Gunga Din. That little scree-scree-scree noise you hear? That's me sharpening my fangs after all. Lesson: do not keep writers from their words. IT MAKES THEM DANGEROUS AND UNSTABLE. Hello, Dear Readers. I'm not sure I can quite squeeze out a 'Happy Monday' this morning, as today I was woken at 6am by a panicked call from my mum. She'd gone to check her emails before leaving for work, and found that her laptop wouldn't start up. At all. Black screen of death. Horror. I couldn't fix it before she had to leave, but two and a half hours later I was able to boot the thing up and now I'm back at my own computer guzzling coffee and trying to stuff my brains back in my ears. 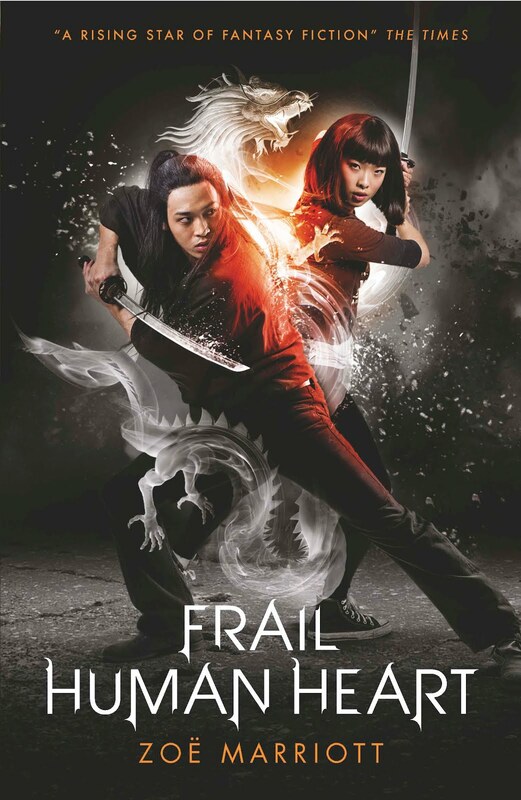 "What do you do if two of your characters want to be the main character? I have a 10 year old boy and a 20 year old woman, and the boy should be the main character, since it's technically his story, but I feel like the woman has a story to tell as well, and I don't want to give her too much voice in case she just floods the actual story. What can I do?" I call this upstaging, and it's a surprisingly common problem. In fact, looking back, I'd say I've had this problem in every single book that I've ever written. Just to make it a bit clearer: upstaging is where a character who was originally supposed to be minor or secondary turns out to have such life and magnetism that every scene they're in warps around them, pulling attention away from the main character and the main story. When it happened to me while writing The Swan Kingdom and Daughter of the Flames, I dealt with it by panicking and cutting those upstaging characters down to mere shadows of their former selves. Being forced to do this left me with a nagging sense of guilt which I've never quite escaped, and which hasn't been helped by readers repeatedly mentioning that they wished they'd learned more about these characters, and asking me for their backstories. Readers can sense that strange magnetism pulsing away even though those characters are barely on the page anymore. When I came to write Shadows on the Moon the same problem reared its head in the form of Akira. She was originally planned as a rather cold and emotionally distant character, lonely and cut-off, someone who would serve as a warning to the heroine about the perils of her chosen path. Instead, she immediately manifested as funny, charming and brilliantly, vividly ALIVE. And of course I panicked, just like normal. But by then it was too late, because I was so in love with her that I couldn't bear to cut her down. I just couldn't. I let her do what she wanted. Which sounds completely mad. She wasn't the main character! How could I just let her go off and take over the story? She wanted to act in ways that completely messed up my plan for the plot! She made my main character a different person! She intruded into places she was never supposed to be! And she made the story TEN TIMES BETTER. You see, I don't think that your secondary character really wants to take over the story. She just wants to make it better. Your subconscious brain is telling you that you have a chance to make your main character more realistic and complex, and your main story deeper and more compelling. But you can't do that by working on that character and story directly - you're already doing the best there that you can. You need to do it indirectly by utilising the magnetism that this secondary character brings to the book and by using their story to reinforce the main one. Look at this secondary character and her backstory. Look at what she wants. Where is she intruding? What is she changing? What does she want to say? Search for the ways that her story, her personality, parallel the main character and main plot. Search for the ways that they differ. Just as Akira's story of transforming passion and love serve as a negative image of Suzume's feelings in Shadows on the Moon, I think you'll realise that if you give this character a bit more room to grow, her journey will complement and reinforce the journey of the main character and make the book richer, more complex and more moving than it ever could have been without her. I hope this is helpful, Rachel! Just a quick reminder today as well - I've had a few emails of the 'Please read my story and tell me what you think' variety lately. Here's a link to my website page where I address this, but in short - if you send me stories or samples of work, I can't and won't read them. See you on Wednesday, folks! Hello, Dear Readers! It's Friday already, and time for me to bring out that impassioned post on grammar that I meant to share on Monday (before I started ranting on a completely different topic. Yes, my name is Zolah, and I am a rantaholic). On Sunday I started work on Book Two of Big Secret Project. Within a few pages I'd introduced and killed a couple of new characters and had given myself a regulation case of the shivers. Satisfied with my work, I retired to my sofa with ham sandwiches and re-runs of Friends on the Comedy Channel. And Twitter, of course. Not long afterwards I was very glad I had, as that was where I came across this brilliant article about the misuse of the term 'the passive voice'. Basically: when writing in English, you will come across passive constructions, where the object within the sentence is being acted upon rather than being active, eg. rats are often eaten by cats, vs. cats often eat rats. These constructions are neither inherantly bad nor good (with thanks to my friend Pembe!). Yes, it's generally a positive thing to try and keep your constructions active, especially if you are writing about action. And yes, over using passive construction can definitely weaken your writing. But there are times when you will inevitably need to use a passive construction, as the writer of the article points out, in order to vary sentence structure, or to impart important information. That is why the passive voice exists in our language. However, anywhere you go on the internet for writing advice, you will find people talking about the grammatical passive voice as if it was the same thing as bad writing. The people who pass on this advice are normally well-meaning - but the problem is that a lot of them honestly do not understand what 'the passive voice' IS. Because 'passive' is a word writers don't really want applied to their work, they believe that 'passive voice' means 'bad' and 'active voice' means 'good' without exception. Grammatical passive voice becomes synonymous with something that they call 'passive writing' - flat, boring, unexciting writing - even though they're not the same thing at all. Attempts to universally enforce this idea, teaching writers to avoid the passive voice as it if were a smelly, creepy uncle lurking in the corner at the family Christmas get-together, can result in prose which reads as if it was written by a non-native English speaker who hasn't quite grasped the rhythm or syntax of written English. It obscures the very information you are trying to convey. This got me thinking about the reams of writing advice that I trip over online every single day and how I, personally, ignore pretty much all of it. In fact, the second that I see a list with a title like 'Eight Things that Make Editors Stop Reading' or 'Five Secrets for a Great Opening Scene' or 'Ten Common Mistakes First Time Writers Make' I hear a faint booming noise - my attention breaking the sound barrier as it flees from yet another samey list of boring old dos and don'ts. What really gets my goat is that almost any list like this starts with an admission from the list writer that one-hundred-and-eleventy-thousand writers have broken their rules and still been rewarded with bestsellers and private jets and unicorn rainbow sprinkles. But despite this admission, they go ahead and post those good old rules anyway, usually with an assurance that following them will (despite all evidence to the contrary!) increase your chances of getting you your very own bestsellers, private jets and unicorn rainbow sprinkles. If you know that your rules don't work, why bother sharing them? Don't let me wrong! I think it's wonderful that there's a thriving online community which supports and encourages young or beginner writers! 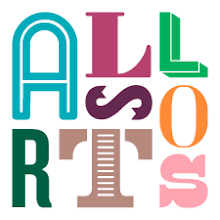 I think places like Absolute Write and QueryChecker have a lot to offer a learning writer and I think that a lot of the principles they commonly espouse are excellent! 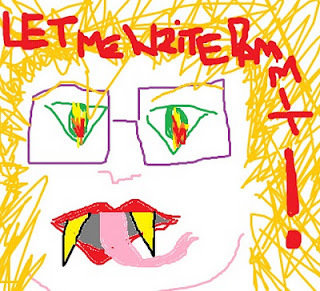 And let's not forget that I love to discuss the craft of writing and offer advice myself! But I also think that anyone who tries to tell you the 'rules' of writing is full of bullcr*p.
I have first hand experience of this, because back before my first book came out (when it was under contract, and edited, and just waiting for its publication slot) I became a member of a writer's forum. I got into some furious fights with other members who honestly did think that they knew 'the rules', and who insisted on repeating them to any newish writer who asked for advice. No matter how many times I pointed out that telling other writers never, ever, ever to use first person, or prologues, or dream sequences, was restrictive and inaccurate and a bit boring, they were convinced that those were The Rules, and breaking them would result in death or, worse, rejection. Just to make it clear? This video is pure sarcasm. I've broken every one of these so-called rules in my published work. Show, don't tell? Broke it. No prologues? Broke it. Don't have characters look in mirrors or at their reflection? Broke it. Dream sequences? BROKEN IN EVERY SINGLE BOOK I'VE EVER WRITTEN. And I believe that my books are stronger, better, more unique and more moving because of it. Writing is a craft, and it's a very good idea to learn the underlying principles - grammar, spelling, pacing, plotting, characterisation. But it's also art, which means that once you understand those principles, you're allowed to play around with them as you please. The only thing that matters is that your use of language conveys the ideas or emotion you wanted. That's it. That's all. If you made someone see or feel what you wanted them to see or feel, you did your job. People may be outraged by this idea, but then, people were outraged by the work of Monet, and Picasso. If Monet and Picasso had allowed themselves to be frightened into complying with the 'rules' of painting, the world would have been deprived of some of the greatest art ever. As a writer in the English language (which I'm assuming most of my blog readers are) you have an astonishing, wonderful array of tools in your toolbox. You have basic, everyday tools and fine precision instruments and big heavy mallets. You have whole layers of tools which you can fiddle and experiment with, which can be used alone or in conjuction with other tools to achieve a rich, ever evolving series of affects. Some tools may not be for you. There might be sections down there at the bottom that gather dust because they don't suit you. But that's for you, the craftsman and artist, to decide. Don't let anyone else steal tools away from that box by telling you that they're too difficult, or that editors won't like them, or that you're not old enough or talented enough or bestselling enough to use them. And if someone tries to take away the keys to the box? Punch 'em in the mouth. Everything is in the box for a reason. And the box is yours. Use it wisely, use it well. And for the love of sweet bippy, Dear Readers...have fun with it. Hello, Dear Readers - and happy Wednesday to you all! Some of you may be aware that late last week the original Shadows on the Moon book trailer reached 1,000 views, which was a cause of great smileyness and joy at Casa Zolah. Now, I promised back when the trailer was first launched that if this happened, I'd persuade my publisher to let me upload the extended version, which had some extra juicy bits. And I'm very happy to say that they've given me the OK to put it on my personal YouTube Channel. So here it is! Let me know what you think! Today, I had a blog post about grammar planned. It was going to be thrilling, controversial and epic. But then I woke up and saw something. Something that enraged me so much that it was either post, or explode. This article. This. It's called No More Adventures in Wonderland and it basically mourns the loss of childlike adventure and enchantment in children's stories, and says that children's and young people's fantasies are being edged out by adult anxieties which writers are apparently projecting into reader's brains. There's so much I'd like to say about the blatant wrong-headedness of this article. I'd like to ponder how, in one paragraph, the writer can admit that more children and adults are reading today's YA books together than ever before, and then, in her closing paragraph, state that modern children's and YA novels lack the ability to '[bridge] generational divides'. I'd like to marvel at how can she can praise J.M. Barry's famously twisted, melancholic Peter Pan, apparently without ever noticing its sinister undertones, and then criticise Harry Potter for its darkness and completely miss the colourful, funny, disgusting, WONDERFUL world that J.K. Rowling created and which fills children (and adults!) the world over with smiles and glee ('Alas! Earwax!'). But mostly, I'm just brain-boggled by the fact that she is apparently seriously suggesting that in a world where Suzanne Collins draws her inspiration to write a book about child warriors from news footage about real life child warriors, today's children's writers should try to find out 'what children [want]' by spending lazy afternoons in boats or public parks with the privileged offspring of the wealthiest five or ten percent of the population. Because, you see, the privileged offspring of the wealthiest five or ten percent of the population are the children we all ought to be writing for. They're the default setting. They're the 'normal' kids. The kids who've seen darkness - death, poverty, abuse, bullying, illness - in their own lives? Well, they're not anything like the writer of the article, are they? They're not like the kids of anyone she knows. They are outside her experience, just a hazy and troubling smudge on the edges of her awareness which it is so much more comforting to ignore. What a shame we can't all go back to that halycon Golden Age of civilisation where J.M Barry and Lewis Carroll cavorted in the warm summer sunlight with pink-cheeked infants - real children - while thousands of other children - you know, the ones who didn't count - languished in poorhouses, orphanages and on the streets and probably never learned to read at all, let alone survived to be adults. Clearly life held so much more:'...redemptive beauty, cathartic humor and healing magic' back then. This is the Wordle that I made the other day for a book I intend to write in the future. 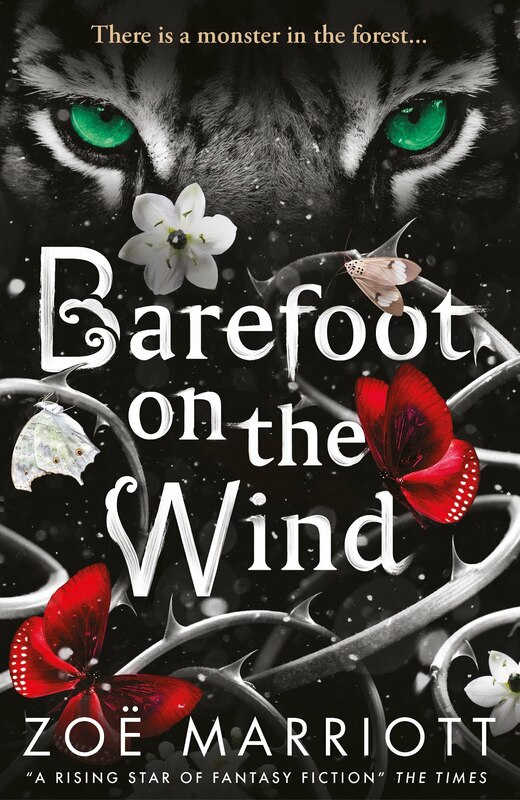 As you can see, the story has a tentative title of Barefoot on the Wind (some of you may recognise this title and remember it from an unpublished story that sometimes shows up in my writing credits. I've been waiting for a chance to use the title again, since I love it). This is not Big Secret Project. In fact, it's barely a twinkle in my eye. But I have written a synopsis for it, and on a whim fed that into the website. As always, Wordle did its strange magic and created this, which tells you so many wonderful and intriguing things about the story, I can't even stand it. Go on! Make some guesses! What do YOU think it's about? Hello, Dear Readers - and welcome to Agent Appreciation Day here on The Zoë-Trope! Okay, Okay. I know that the actual, official Agent Appreciation Day is December 11th. But I can't wait that long, so you'll just have to put up with this now. Capice? 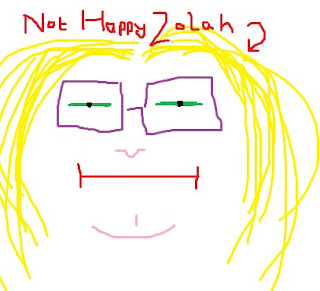 Not very long ago (just over a year, in fact) Zolah was in a serious quandry. 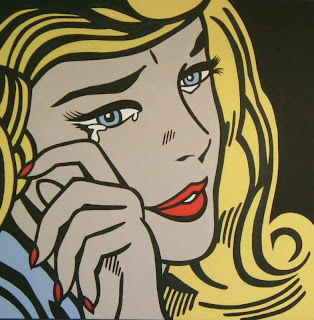 After having been represented by the same agent since 2007 - and her very first published book - she had been forced to part with her former agency, and was now...gulp...unrepresented. It's a chilly, alone-in-a-spooky-house sort of feeling to be unrepresented in today's market, Dear Readers. Zolah did not like it. At all. And so she went about trying to get herself a new agent. A confession: she had bookmarked the websites of several top notch agents many long months before the events that caused her to split from her first agent. She liked to sit and gaze at them, and sigh longingly. But actually contacting them was a different thing. Frankly, the prospect was so nerve-wracking that she thought she might throw up a little. Finally, with shaking fingers, she managed to get herself to dial the number of one of the agents whose website she had been gazing at longingly. And lo! The agent was nice! And friendly! And knowlegible! 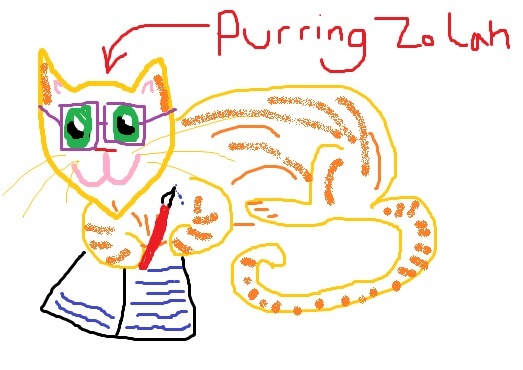 And interested in reading Zolah's published books! But at the same time, she felt a twinge...just a twinge of anxiety. Because, you see, she had just done exactly the same thing that she did the first time she got an agent. She'd contacted only one agent and agreed to an exclusive submission without talking to any others, something that books and the internet had told her was a very silly thing to do. Even though the agent in question was absolutely lovely, Zolah suddenly felt that she'd repeated a pattern of unprofessional behaviour. But it was too late to do anything about it. Right? Not so. Soon afterwards Zolah was speaking to her editor about her quandry, and her editor - having pointed out to Zolah very gently the unprofessional thing she had done - recommended that Zolah wait until the limit on the exclusivity period of her submission to that first agent (which was only a week), and speak to at least one other, just to make sure she had explored her options. The editor happened to know a wonderful agent who represented many wonderful authors. Why not speak to her and see how it went? And so, about a week later, Zolah dialled another agent's phone number with cold and trembling fingers. 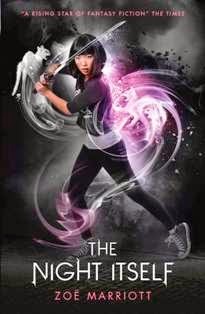 She had already agreed to meet with the first agent, who continued to be lovely and enthusiastic and everything that Zolah could have wanted, and was really only doing this so that she could tell herself - and her editor - that she had been sensible. She was pretty sure this agent wouldn't be interested in her anyway. This agent represented people that Zolah worshipped on bended knee. The phone rang. The agent answered. Something magical happened. Something just...clicked. 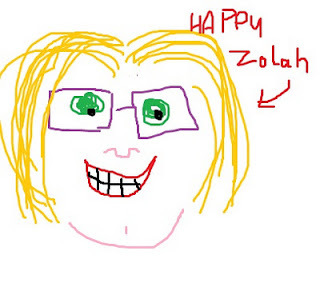 Within five minutes Zolah was giggling helplessly while, on the other end of the phone, the agent laughed too. The pair talked for about half an hour in the most informal, relaxed way. Zolah barely noticed when she stopped shaking and a sense of contentment and rightness crept over her. She agreed to send this second agent some samples of her work, and hung up with a huge grin on her face. This agent was The One. 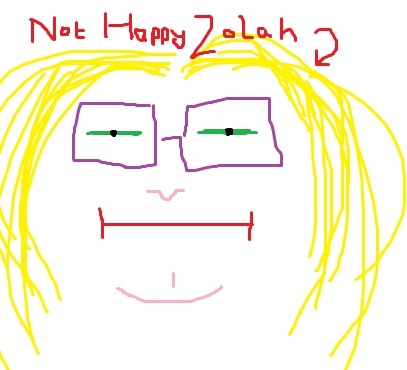 Zolah continued to try to be sensible. She met with that first agent she had contacted, and found her just as marvellous as her reputation had painted her. She spoke to The One again and was thrilled to find that The One wanted her as a client. She sat down and made a list of various factors that she ought to consider in her choice and thought very hard. But deep in her heart, that decision was already made. A little while later she signed with Nancy Miles of the Miles Stott Children's Literary Agency. Otherwise known as The One. And occasionally Super Agent. I shall now move out of third person to say that Nancy (The One, Super Agent) and I have been working together very closely in recent weeks. Stressful things have been going on and I've freaked out a few times. And I cannot believe - CANNOT BELIEVE - how lucky I got when she agreed to be my agent. The levels of support and attention my agent - my agent! whee! - has given me have been completely above and beyond the call of duty and have helped to keep me sane somehow through all the ups and downs and the waiting (the endless, endless waiting). I have it on good authority that The One (Nancy, Super Agent), being a very busy lady, doesn't read this blog. So I'm not really saying all of this for her. I hope she already knows how much I appreciate her anyway. Today is my Agent Appreciation Day. I need to take a moment to say to the world (and God, Buddha, Allah, The Fates, and anyone else who's listening): THANK YOU. Thank you for getting Super Agent (The One, Nancy) to actually want me as a client, and stick with me through all this, so that I could finally understand those writers who talk about their agents with such love and respect. Thank you for Nancy Miles (Super Agent, The One). That's all, World. Back to your regularly scheduled shenanigans. Hello, my lovelies - I hope you all had a nice weekend? I did. And certainly a productive one. On Saturday, after I'd done my normal household chores and shopping, I sat down with my notebook and produced a detailed, six page outline, with bullet points, for the scenes I wanted to start on Sunday. The scenes I've been referring to on Twitter as The Big Fat Final Scenes (well, it goes nicely with Big Secret Project, right?). I did this because I had SO much going on in these final scenes and there were so many ways things could play out, that I really wanted to nail the choices down and block it all out before I started work for real. That way, instead of staring at a blank page and being faced with a million things to decide, I could launch right into the action. Some writers do this with note cards or Post-Its or with clever graphs, but generally when I'm feeling a bit overwhelmed I find the best thing to do is scribble until I feel better. Sunday rolled around, and despite oversleeping and therefore getting up with a headache, I was in my Writing Cave and ready to begin work shortly before nine o'clock. I hoped, with determined optimism, to get about ten handwritten pages completed, which would translate (normally) to something like two thousand words when typed up. A nice chunk of pages that would get me right into the action. I popped in my favourite Big Secret Project writing playlist (you can find it here) and started writing. Then I wrote some more. My hand started to really hurt. I stopped, ran it under cold water, and then warm, and then cold again. Then I went back to my notebook. I noticed that my clock said it was lunchtime. After stretching my hand again and wondering why it was hurting so much, I counted the pages I'd written that morning. Hmmm. That was quite a lot. Around twice what I'd expected to write the whole day. Things were going well. I went off thoughtfully to have some lunch, walk the dog and apply a cooling gel strip to my hand. When I came back, I went onto Twitter and asked for opinions. I had written twice as much that morning as I expected to. The Muses, who, being capricious and contrary, often make one of their rare visits when a person is already in their Writing Cave scribbling their brains out, seemed to be in my corner. It was possible - JUST possible - that if I kept on like this, I might be able to actually finish my handwritten draft today. On the other hand, my first handwritten draft doesn't really count because I still have to type everything up later and revise and re-write and polish it. And my arm and fingers were very sore. And I usually spend the afternoons typing my morning's notes up so that I can get a fresh start the NEXT morning. So...what did everyone think? Should I push on and go for it? Or stop now and start typing up and re-writing? The vote was unanimous. Push on. Notebook open again. Fresh pen, since the old one was getting a bit faint and scratchy. Music on. Write. I got to an emotional bit, and started crying. I wrote through the tears. The tears eventually dried up. Finally, the words THE END escaped from my pen. I was looking at the first, very tough, handwritten draft of Book One of Big Secret Project. The book so big and secret that I can't even tell you about it yet. I still have to do a lot of work on this manuscript. Not just the typing and revising and polishing, but then printing it out, leaving it for a minimum of two weeks, re-reading it and revising and polishing again. Today, I wrote forty handwritten pages - roughly (it may prove to be slightly more or less, typed up) eight thousand words. Today, I strained my hand and carried on writing even when it hurt so badly I could hardly hold the pen. Today I dripped tears all over everything and swiped them off and kept the words coming. Most of all, today I was happy. Completely and totally happy, joyous and free and in my element in a way that it's almost impossible to explain to anyone who doesn't have something they're passionate about (whether that's writing or reading or painting or singing or baking or running or doing their make-up or making sculptures out of discarded plastic picnic forks) in their life. This is what being a writer is all about. These enchanted moments when everything goes wrong but it doesn't matter because you want to write more than anything, and you do. And here, just for kicks, are a couple of shots of the two notebooks that I have filled up writing Book One of Big Secret Project, and in which the enchanted words THE END are scribbled out in blue pen - one of the most beautiful sights a writer can ever see.